These mills are designed to give higher out-put. Mills are designed as direct coupled or V-belt/Pulley arrangement to get designed speed to suit the application. FEATURES Ideal for Pre-crushing & Coarse Grinding. 3 in 1 Unit (Pulverizing, Sieving & Conveying). 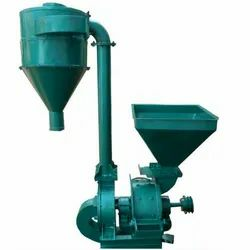 Being a leading enterprise of this industry, we are offering a huge range of Hammer Mill Pulverizer Machine. 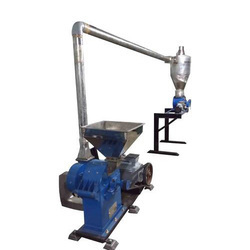 We are engaged in offering Palak Grinder Machine, The entire manufacturing process is controlled by our supervisors to ensure the quality, performance and high operating power. These machines are designed and offered in various specifications, sizes and dimensions so as to deliver suitable products to various clients across the country. With sincerity and hard work of our professionals, we have carved a niche for ourselves in this domain by providing a premium quality gamut of Hammer Type Mini Pulverizer.